"During 2019-2020 we have to develop a land-based version of the seaborne Kalibr system equipped with a long-range cruise missile which showed good results in Syria," Shoigu told defence officials. 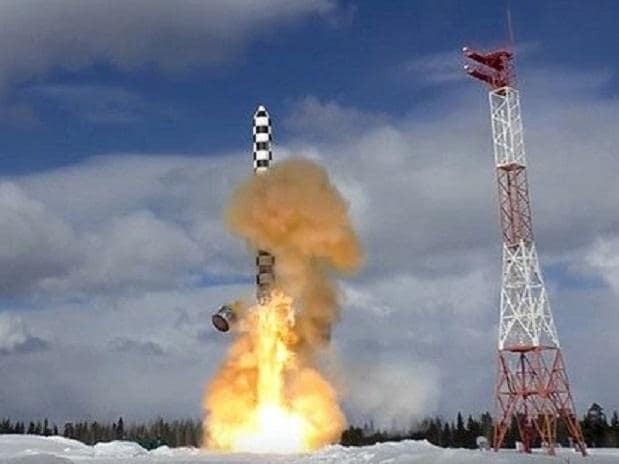 Defence experts say converting seaborne and air-launched missile systems for ground use will be advantageous for Russia since producing such missiles will be cheaper and quicker. Defence experts say because ground-based intermediate-range missiles are cheaper, Russia could theoretically place more of them within range of European targets. "We have plenty to choose from," pro-Kremlin defence analyst Igor Korotchenko told AFP, noting the Dagger missile was just one such system. The INF treaty was signed in 1987 by then US president Ronald Reagan and Soviet leader Mikhail Gorbachev and resolved a crisis over Soviet nuclear-tipped ballistic missiles targeting Western capitals. "We are on the brink of a new arms race," said Konstantin Makiyenko, deputy head of the Centre for Analysis of Strategies and Technologies, a defence think tank in Moscow. "The United States' industrial, scientific and technical might is stunning.